We've prepared this FAQ (Frequently Asked Questions) to answer questions about owning a Wieler home and included some additional frequently asked questions about our company in general. If your question is not answered here, please contact us with additional questions. And if you have any suggestions for additional FAQs please let us know. Are your homes available in my area? Currently our homes are available in most of the Eastern United States. If you live in the Midwestern or Western United States or Canada, it may still be possible for you to purchase a Wieler home. The construction schedule is likely to be longer since we will be building with new modular factory or shipping from the east coast - but we think it very well may be worth the wait and a great investment. Is a Wieler home prefab? Yes. Wieler homes are designed by leading architects for our company to leverage modular construction methods. Some of the benefits of modular construction include savings of time, cost, and waste. Additionally, modular construction can reduce the reliance on the number of site subcontractors needed to finish a project, which can alleviate uncontrollable variables and delays. Building the majority of the house in the factory also reduces the ecological impact of construction on your homesite. What are some of the misconceptions of modern modular construction? Architect-designed (1) modern (2) green (3) modular (4) homes include 4 variables that are not common to the average builder, much less all 4 variables in one project. Therefore, when deciding to build this type of home, it is VERY important to select the right general contractor for your project. With the wrong general contractor your project could result in serious delays, cost overruns, construction and design errors that are difficult and/or costly to correct, and an overall compromise of the architecture and quality of your home. All of these problems can cause tremendous emotional and financial stress on homebuyers. Therefore, we take our role as your general contractor very seriously. Because of our general construction experience, modular manufacturing experience (our VP/CFO was previously a co-founder and CEO of a modular manufacturing company and has manufactured hundreds of modular homes), and our amazing collaborative team of architects, designers, manufacturers, and engineers - we have strong confidence in our ability to make your project a true success. Are your homes modular, panelized, a kit of parts, or some other type of prefab homes? Wieler homes are not a kit of parts. Our homes are built in a modular construction facility and shipped to your home site in sections where they are set on the foundation with a crane and bolted together. Our homes sometimes include wall panels, flooring panels, and roof sections. Steel plates are used for reinforcement whenever necessary. Are your homes green? If so, How? This question is often answered by builders with a simple "yes," with little substance to their answer. Our answer starts with the architecture. For example, one of the reasons our company's first home design is Ralph Rapson's Greenbelt house - is the fact that it embraces nature. Rapson's original 1945 Greenbelt house was designed to be a passive solar design to save energy and bring in natural light. The Greenbelt houses always include a sun-filled atrium that is a ideal for growing plants, which help provide great air quality inside your home and help you be healthy. Our second home design, the Stitch House, is a simple, modern design that is economical and efficient. How much construction waste do you think the Stitch House generates? Take a look and you'll see that the simplicity of the design includes two modules that are nearly 100% complete when they leave the factory. The modules are shipped to the site on two flatbed trucks and assembled quickly, with little on-site construction required to prepare for move-in. All of this means much less waste that your typical site-built home and very little travel back and forth the job site by contractors. Simply put, modular construction increases efficiency and reduces waste. So, our answer is getting a little long for one FAQ so I'll stop here and finish by saying that to our company being smart about design, construction, and the environment is a given. When and where can I see one of your homes? Please contact our company to arrange for possible visitation of Wieler homes. Wieler model homes are coming in 2007. What services does Wieler provide? Our company provides turn key services as the general contractor for your project. You have one contract and that is with our company. You have one project manager that is accountable for successfully building your home. The architect, engineer, manufacturer, and subcontractors all report to us so that you have one company accountable to the success of your project. Our homes range from $140/SF to $200/SF - including more or less everything except your land. See Cost section. What is included in a Wieler home for this cost? Complete construction of your home including allowances for site preparation, foundation, permits, and other variables standard for a new home construction project. See the square footage, number of rooms and bath, etc., in the Homes section. What is not included in this cost? Some of the items not included in our prices are abnormal site prep costs (ie. hitting a lot of rock when digging the foundation), extensive customization or design changes, abnormally high impact fees or permits, high workmans comp insurance rates (ie. California). See Cost section. Can I make changes to the Greenbelt designs? Yes. The Greenbelt home designs are customizable. However, please note that all substantial design changes do require additional fees. The more extensive the changes are, the more expensive the additional fees will be. Can I just buy the “shell” and finish the house myself? No. At this time, this is not something that we offer. Can you email me all of your different designs? Please visit the Homes section of our website to view all of our current home designs. Can you work with me on prefabricating my own design? For other designs, the first step is to contact us to see if there is a mutual fit for our company to build a new design for you. Can Wieler do all of my site work? Yes. Wieler Construction can be your one point of reference to construct your home from start to finish. Can I do my own cabinets, plumbing, siding, countertops, etc.? We work with each client on a case-by-case basis to determine the best fit for do-it-yourself clients. Generally, no. However, after we finish the project you are of course welcome to do whatever you'd like to your home. Yes. Our company works with contemporary architects and designers who design homes, communities, and art + design products for our company. Visit the Team section to learn more about who we're currently working with. Why does Wieler use prefab construction? Quite a few reasons actually. Here are a few: prefab allows us to reduce the number of variables (ie. weather, number of site subcontractors, length of time to build the home) involved in building great architecture for our clients. Additionally, it allows us to build homes for more people in more areas without tremendous overhead in people, offices, etc. We could go on but there's a few reasons. How does the quality of Wieler homes compare with site-built homes? Are Wieler homes suitable for areas that are susceptible to hurricanes, earthquakes, and extreme weather? Yes. Just like site-built homes, all of our homes must meet all building code requirements. Our homes are also engineered to withstand an array of climates. How will the flat roofs hold up in the heavy snow or rain? First of all, no roof is totally flat—the roofs of our homes are designed to shed water and snow efficiently. For homes that will be delivered to areas that experience heavy snow or rain, the roofs are engineered to withstand extreme weather. Furtheremore, no matter what region the home will be built in, all of our roofs come with a warranty that covers a minimum of 15 years. Are Wieler homes mobile homes? No—currently all Wieler homes are designed for permanent foundations. But that doesn't mean that one day we might not build some really cool portable structures. Good homes are hard to find. Is it hard to get mortgage financing to build a Wieler home? Do I need "special" financing since it is a modern modular home? No. Wieler homes are appraised and financed just like custom site-built homes. It is however important to select the right appraiser and lender who "gets" what we are doing, understands the quality and design of our homes, and is not biased against modern design nor modular construction. Instead, they might say things like - yes, that is "the future." How long will it take for you to build my home? The approximate timeline to construct your home can range from six months to nine months. A high degree of customization and design changes may result in an extended timeline. I am interested in purchasing a lot in one of your communities. Do I have to build a Wieler home? Do I have to build a modern home? We have two different types of communities - master planned to the smallest detail by our team of modern architects and designers - and communities designed and developed by Wieler that consist of building lots that are open to a variety of home designs and builders (like our Henley community). Is Henley available for tour? Yes, contact Wieler Realty to visit Henley. How is Wieler different from other modern prefab companies? 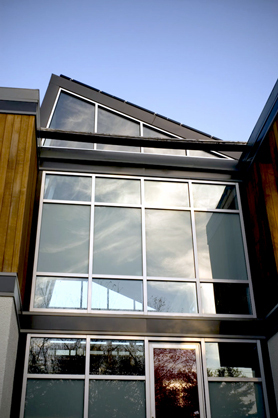 First and foremost, we've gone through the process of building a modern prefab home as clients. We've experienced the trials and tribulations of being the client for an architect-designed, modern, prefabricated home (the original Dwell Home) on a unique homesite. This experience has had a tremendous impact on how we've developed our business. To be direct, we're very focused on making sure our clients never have to go through what we did. Budget overruns, construction delays, design changes, the list goes on. We decided early on that the way we could have the most control over the success of our projects is to be the builder. And since we're all about building great architecture and staying true to the architect's vision, we've assembled a great combination of experience in modern architecture, small and large scale construction projects, modular manufacturing, and land development. And of course, we've got a few people who know a thing or two about business and building successful companies from scratch. How do you pronounce Wieler?